The Tray End Table by Zuo is as functional as it is stylish. 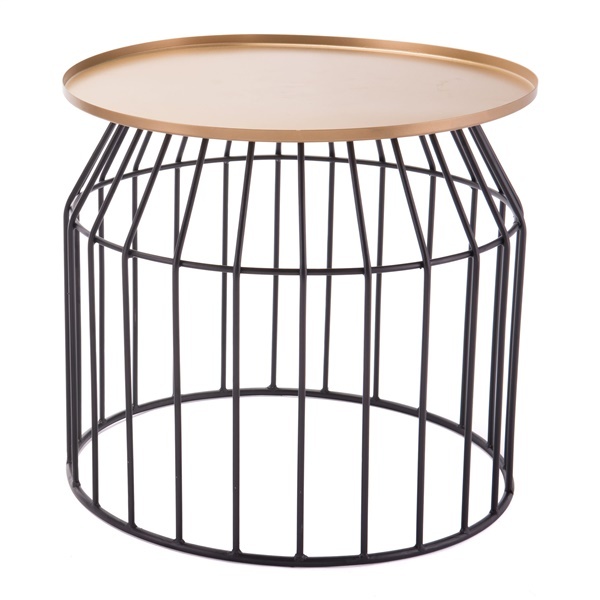 With an open air, black steel wire base and an elegant gold finished tray table top, this piece is ideal next to your sofa or lounge chair. Give your living space a bit of modern d�cor while making sure your guests have a stylish place to rest their drinks.